Posted on July 24, 2018 . 2 Comments. 01:22 – Fabio discusses his current role at StrongFirst. 03:58 – Fabio discusses how he came to learn Pavel’s system? 10:27 – Training transformed since entering Pavel’s system. Principles, breathing technique, etc. have all changed and improved. 14:05 – Fabio discusses different powerlifting principles. 22:14 – Fabio discusses research on ballet dancers improving their jump with kettlebell swings. 25:00 – Mission and future vision of StrongFirst? Mission: Helping people become a better version of themselves. Vision: Grow worldwide, build better instructors, build community, be consistent with core values. 26:37 – StrongFirst delivers quality vs. quantity. 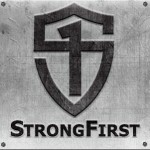 30:05 – StrongFirst’s system is not just for pure strength, but applies to many different goals. 40:55 – You don’t have to be a trainer to attend a cert. 46:26 – Talks about how the accelerometer works. 49:15 – Discusses the next steps for certified instructors? 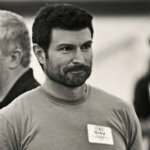 56:15 – Simple advice for someone outside of the StrongFirst community? In the future use a better mic for the guest. Love the information keep it up guys.